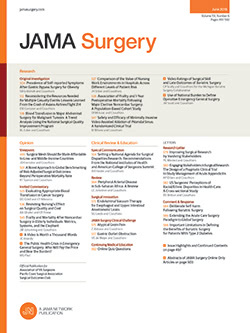 Surgery faces several unique challenges that can make it more difficult than other fields of medicine to conduct rigorous clinical trials. The urgent or emergent nature of many surgical procedures often precludes randomization; sample sizes of surgical patient populations tend to be smaller; and details of the surgical procedure can be highly variable between surgeons or even from the same surgeon at different times. Therefore, instead of large RCTs, we often rely on smaller studies at lower classes of evidence for our clinical practice.